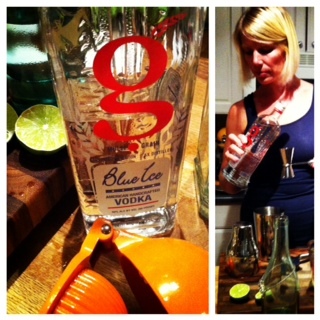 We had the opportunity to share Blue Ice Multi Grain Vodka with friends this week and it was a hit. Let's just start with the fact that it's made in America and considered multi grain. If that doesn't get you feeling good about drinking vodka then you're probably a snob. It also uses a special distillation and advanced filtration system that yes, every company claims to employ, but with Blue Ice I feel like I can really taste the "special."